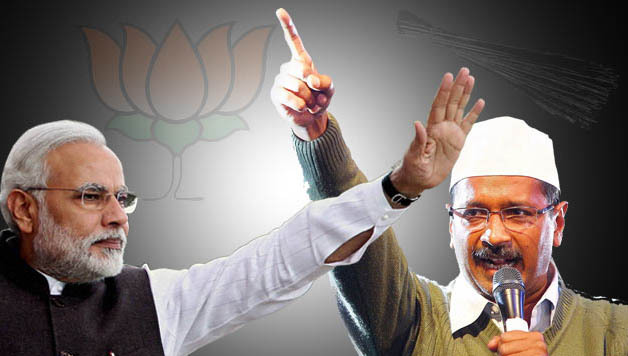 New Delh (PTI): After multiple poll reverses, the AAP appears to have dropped its strategy of directly attacking Prime Minister Narendra Modi and is now focusing its charge on the BJP as a whole. A change in the tack was effected after the party’s policy of constantly targeting the prime minister appeared to have had an adverse impact on its poll performances in Punjab, Goa and Delhi. While the party won 20 of Punjab’s 117 Assembly seats in recent state polls, it drew a blank in the Goa polls. In the Delhi civic body polls, it came second to the BJP. A case in point is how the beleaguered party reacted to the CBI’s recent visit to the premises of Deputy Chief Minister Manish Sisodia and Health Minister Satyendar Jain for “seeking clarifications” in two different cases. Vexed by the move, the AAP launched an attack on the agency. “The CBI raids Deputy Chief Minister Manish Sisodia’s residence at the behest of the BJP-ruled Centre,” the party said. When the agency had raided the office of Chief Minister Arvind Kejriwal in December 2015, the incensed AAP supremo had accused Modi of misusing the CBI and had called him a “coward” and a “psychopath”. Amid the run-ins with the Centre, it appeared that Kejriwal was seeking to make the fight between him and Modi, who “was unable to digest the 2015” Delhi Legislative Assembly defeat of the BJP. Even when Dalits were flogged in Una in Gujarat or after Dalit scholar Rohith Vemula allegedly committed suicide in Hyderabad, Kejriwal’s attack revolved around Modi. While flaying the Delhi Police for arresting its MLAs for “political reasons”, the AAP had termed the law enforcing agency as “Modi ji’s police”. In a farmers’ convention organised by the party last week, Kejriwal launched an attack on the Centre over the “agrarian crisis” in the country, but refrained from naming Modi. A change in party’s strategy was first observed after the Punjab and Goa results were out. From March 4 to 10–the week leading up to the results on March 11–Kejriwal tweeted and retweeted 181 tweets. From March 11-17, the week after the results, Kejriwal did not post even one tweet attacking Modi but his sporadic attack on the BJP continued. The AAP completely changed its strategy for the MCD polls, focussing on “BJP’s misrule” in the civic bodies rather than firing salvos at Modi. The AAP refused to acknowledge that it has watered down its attack on Modi, but party leaders said the constant attacks on the prime minister had “backfired” and the electoral results in Punjab, Goa and MCD in Delhi indicated the same. “Modi’s popularity is currently at peak. Attacking him directly would only harm the opponents. Instead attack the party,” said an AAP leader. AAP leader Ashutosh denied that there is any change in the party’s strategy. “In current scenario, the BJP is synonymous with Modi. So attacking BJP is equivalent to attacking Modi,” he said. Sanjay Kumar, a political analyst and a professor at the Centre for the Study of Developing Societies, termed the change in the strategy as a “good sign”. “Anybody attacking Modi would be foolish as he is an extremely popular leader at this point of time. Instead, being critical of the government’s policies, attacking the BJP would be more fruitful,” Kumar said. the AAP appears to have dropped its strategy of directly attacking Prime Minister Narendra Modi and is now focusing its charge on the BJP as a whole.